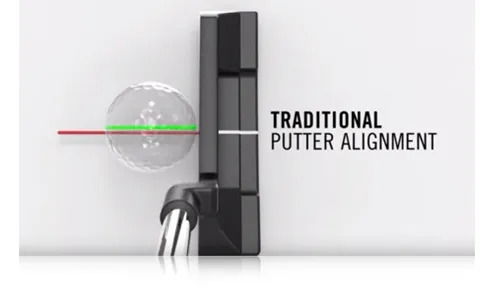 on your Putter could be causing you to miss putts? then an alignment aid on the bottom of the Putter confuses your brain. Most of our golfers have their eyes inside the golf ball when they set up. As the diagram shows above,that causes you to have the center of the golf ball away from the sweet spot of the Putter and closer to the heel. You’re already making putting more difficult. 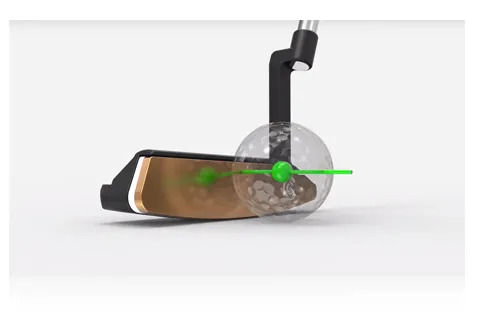 By placing the alignment aid at the exact height as the centre of the golf ball, whether your eyes are inside or outside the line, the center of the ball and the sweet spot of the Putter will be in exact alignment. been raised to the exact center of the golf ball – 21.35 millimeters. If you’d like to improve your putting then start a conversation with us. It might be that we can make a simple adjustment to your setup. Possibly, your Putter is too long and doesn’t allow you to set up correctly AND comfortably. 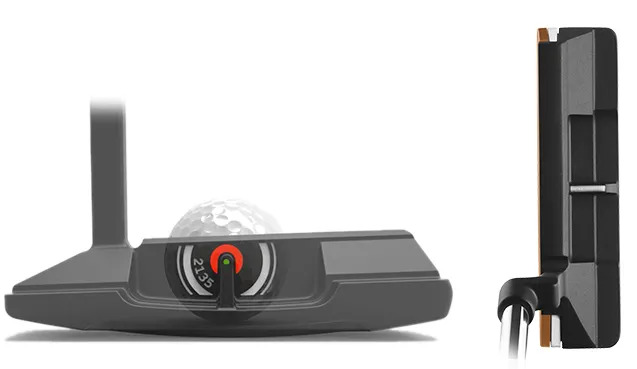 What we do know, is that most Putts are missed before a player makes the stroke. The Cleveland Golf 2135 technology helps with a new solution. Contact us for a Putting Assessment now.